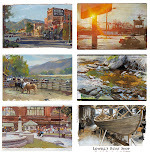 On Thursday, April 2, Jeanette and I web-streamed a plein-air painting to viewers around the world using ConcertWindow.com. We webcast from the parking lot of the Beekman Arms Hotel in Rhinebeck, NY using public wifi from the hotel. Here's the painting in gouache, which took about an hour from start to finish. I streamed with an iPad2 using BUSK, Concert Window's streaming app for iOS smart phones and tablets. This is the prototype iPad holder that I built. It's made of plywood and a piece of picture frame. But it's not adequate because it doesn't protect the iPad enough from a fall risk. I'll build an improved prototype and share that with you. Having the iPad on a tripod allows for a lot of flexibility of camera angles, letting me tilt the view down to the palette and up to the painting and the subject. I also had the option of switching the view from one side of the iPad (the sketch) to the other (me talking). We were just testing this out, really, so we didn't announce, schedule, or promote the show. But the word mysteriously spread, and 53 viewers magically found their way to the stream. There were viewers all across the USA and Canada, and also in Ireland, Switzerland, Germany, as well as fellow artists watching from work at Hallmark Cards, ILM, and Pixar. The interactive quality of the show was fun for all. People could ask us to change the camera angle or ask any question about the process. Thanks to all who watched. We appreciated your comments, questions, and generous tips. (Link to YouTube video) Here's a random clip from the webcast to give you the flavor of it. Streaming an on-the-spot painting is filled with unexpected risks and surprises. We had motorcycles revving up around us, trucks backing, beeping, and blocking the motif. While we were painting, several passersby came up and interacted with us, and they became part of the webcast. A few people told me this was the first ever web-streamed plein-air painting. I'm not sure—was it really? At least I'm pretty sure it was the first stream on a monetized platform of an outdoor painting using a public wifi connection. About the monetization: Shows can be set to be free, "Pay What You Want" ($1 minimum) or performers can set ticket price. Viewers can tip while the show is in progress. Concert Window splits the revenue: 70% to the artist / 30% to Concert Window. It helped to have an extra laptop so that Jeanette could be moderator and read the chat stream aloud. I tried to answer questions as I painted, or if I was concentrating too much, she answered them. 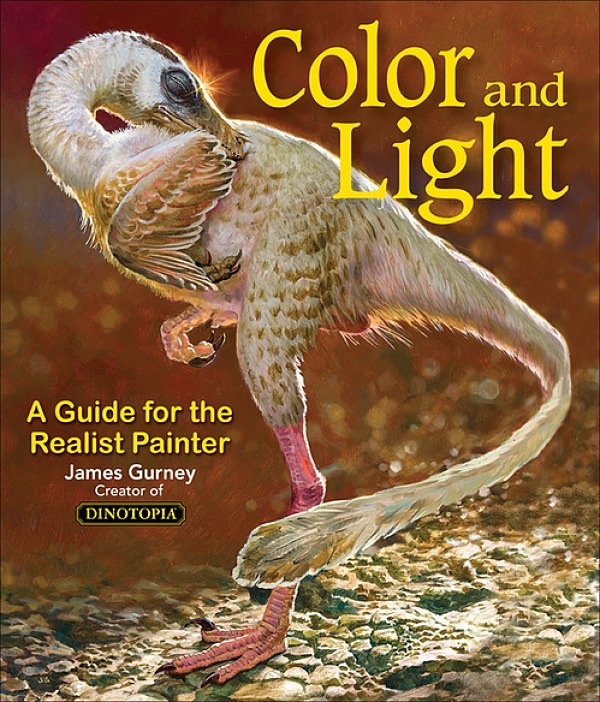 If you want to be sure you don't miss my next plein-air webcast, be sure to check Concert Window's James Gurney page and press the "Follow" button. They'll email you next time I go live. If you're thinking of doing a webcast, I recommend it. It's free to sign up and do a show. You could stream your demos, connect with your gallery clients, and be on the cutting edge of new technology. And you can webcast using your smart phone from anywhere there's cell coverage, or from a laptop anywhere there's wifi. What can you earn? How does Concert Window work? My first Concert Window show was in August 2013. Love the painting, would have loved to see the whole thing come together. Will it be on your Gouache in the Wild video? I was not available to watch the webcast live, I am so glad you posted the clip. You and Jeanette are a terrific team. I own 3 of your videos and 3 of your books, which confirms I like your teaching approach. Regarding all of the background noise, and possible calamities, it is so valuable to witness the process in action along with the spontaneous local experience. 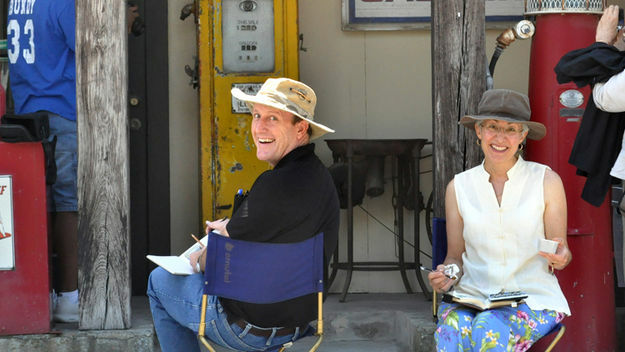 For me it speaks to the genuine human experience of art making, and the importance of the 2015 plein air painting and urban sketching movements. I hope I'll be able to catch the next webcast. Wonderful to watch. Thanks for sharing. I loved the webcast on Concert Window. Thanks for the e-mail notification. I am definitely hoping that you will be able to do this again! I got an e-mail the next day from Concert Window that my donation did not go through because I hadn't updated my credit card. Sorry about that. I just added it to the "Tip Jar" on your web site instead. The kind of 'pay per view' idea is interesting. I wonder though, are the streams only available when they are live or is it possible to archive them so that people can still pay but watch them at another time or repeatedly if they want? Michael, I believe it's possible for a performer to download their archived video and offer it as you suggest, but for me it makes better sense to just excerpt a short highlight as a sample of the live experience. For full-length content that's offered behind a paywall, I would want to curate the content more carefully, and for that I aim to create well crafted traditional video pieces. I like the idea that the event pieces can only be experienced by people who were there to catch the stream. GardenArt, thank you for the donation! I really appreciate it. Lydia, I love the way you expressed the unexpected fun of working outdoors. The unexpected variables make it more like improv or live theater compared to a carefully shot movie. Glenn, thanks for the tripod mount links. No, sorry, this painting won't be part of Gouache in the Wild.